What do you get when you combine Red Bull, coffee and beer? A full featured make your own (MYOG) bikepacking coffee maker of course. You didn’t expect a party did you? For me, morning coffee while camping or bikepacking is a must have. The total kit weighs in just under 7 oz. and that even includes 2.5 oz of fuel for the alcohol stove. The full kit contains the Heiney Pot, cozy, windscreen, instant coffee for 2 days, lighter, alchohol stove, and fuel for the stove. The stove used is a zenstoves.net Low Pressure Side Burner Stove made from a single Red Bull can. This stove design is the best one that I have made, but I haven’t tried out the pressurized alcohol stove. For me, I wanted a stove that worked well and could be easily rebuilt. Each “pot” of coffee uses about 0.5oz of fuel depending on weather conditions. Colder mornings will require a bit more fuel to get the water hot. For coffee, you don’t have to bring the water to a full boil. Total cost for this setup is around $13.00 although I would argue that it’s more like $9.00 because I would have drunk the beer even if I wasn’t going to make a coffee pot out of it. As with any MYOG gear, the setup is always changing as new crazy ideas come up. The idea of carrying the fuel within the kit needs to be validated to make sure there is no spillage on the inside of the pot. If that’s the worst case, that fuel could be burned off to get rid of any alcohol on the inside of the pot. 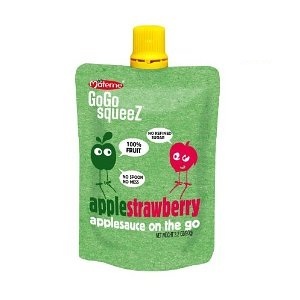 Another idea is to use the GoGoSqueez applesauce packets to store alcohol. The packet holds 3.2oz which would be enough alcohol for 5-6 days of coffee. My kids have tried the applesauce and I proceeded to confiscate the pouches for testing. Ok, I’ll admit, the applesauce was purchased for the sole reason of confiscating the pouches for testing. Sometimes the kids have to take one for the team too. There you have it, a lightweight fully contained coffee making kit. Add water, light the stove, and you’ve got hot steaming coffee in about 7 minutes. Pouch may not be the correct term. There is a screw top. Not sure if its sturdy enough. Has anyone tried mknaig a tea light stove using the large tea light candle cups? I know you can get them at IKEA – they measure 2 1/4″ diameter and 17/16″. It would definitely have more fuel capacity than the regular tea light candle cup. I’m torn between mknaig my own stove or just buying something like the Brasslite Turbo I-D. I use a Snow Peak 600 mug as my pot, since all I do is boil water.